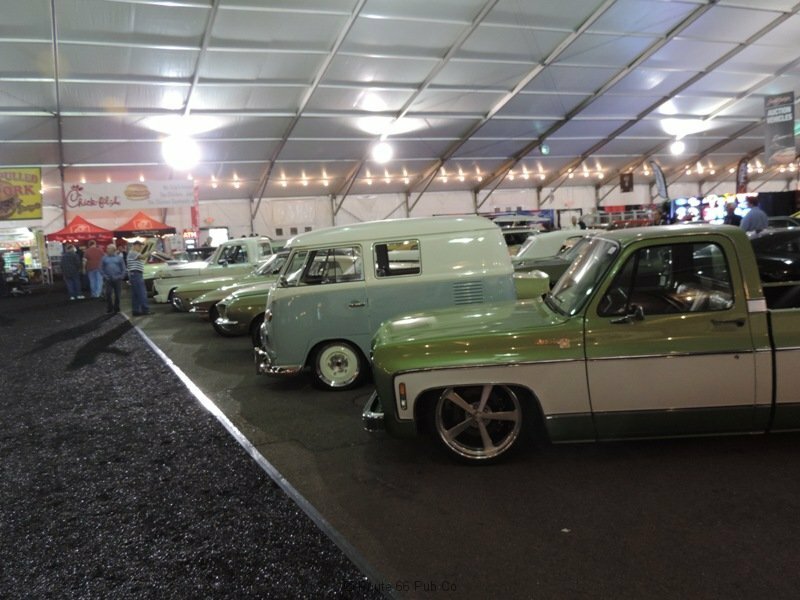 Gas Monkey Garage came out in force at the Barrett-Jackson Car Auction this year. 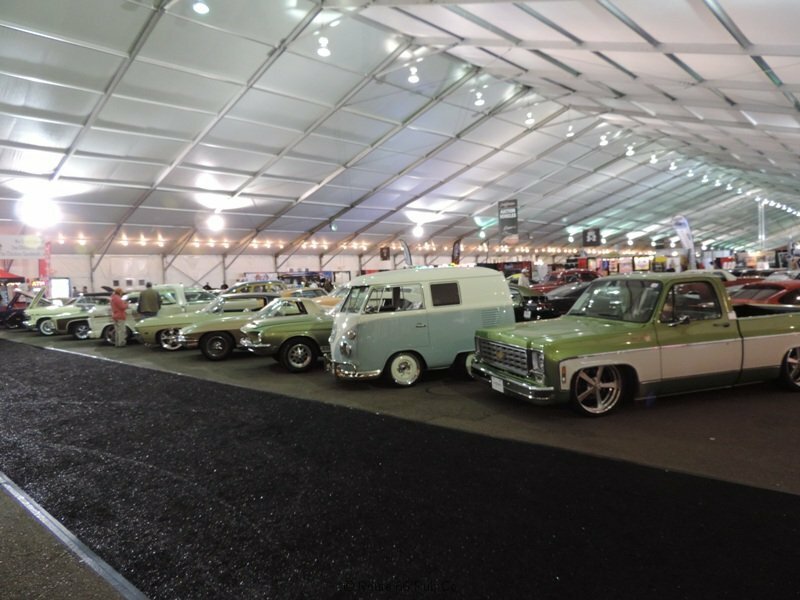 Richard Rawlings and Aaron Kaufman, the stars of Discovery Channel’s Fast N’ Loud, brought out seven vehicles that they have been part of at their Dallas, TX garage, in some way. 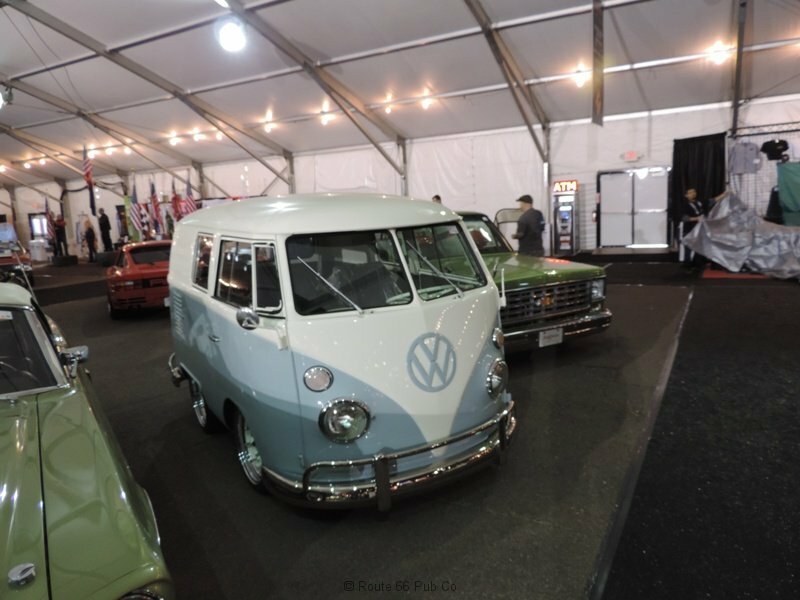 We have been fans of their antics since the first season and profiled one of their cars that was sold at Barrett-Jackson before their garage became so well known. 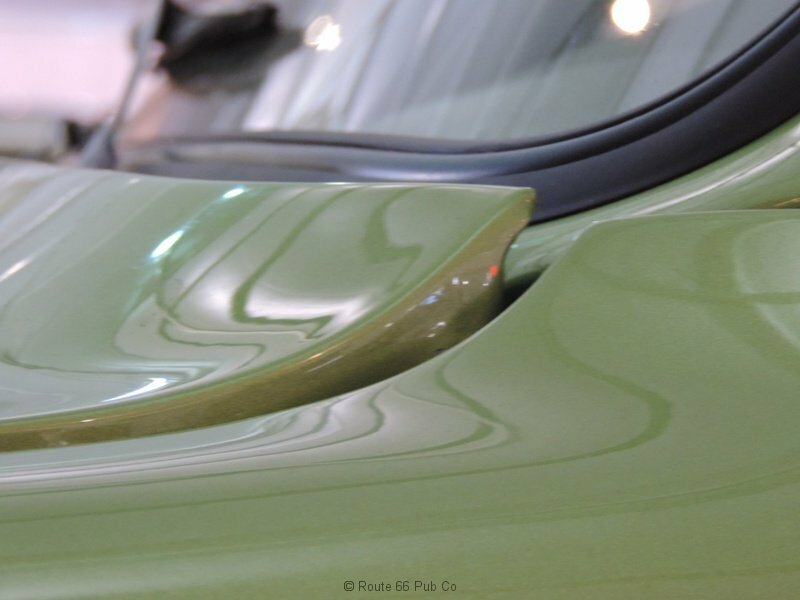 One of the cars is so new it has not even been seen on the show yet. 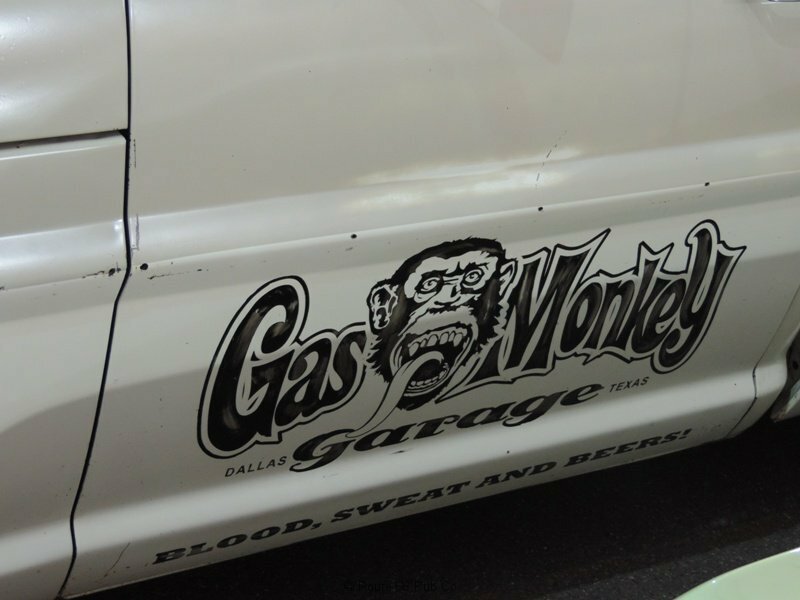 So proceed only if you want to see all of Gas Monkey’s vehicles that sold at auction. The prices listed include a 10% buyer’s commission. 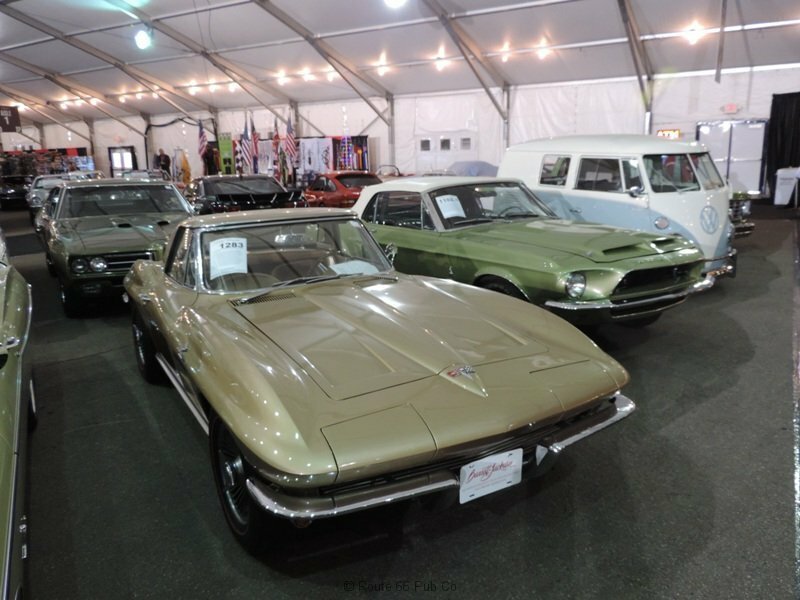 So if the winning bid was for $35,000 the buyer actually shells out $38,500 to Barrett-Jackson, which is what we list. 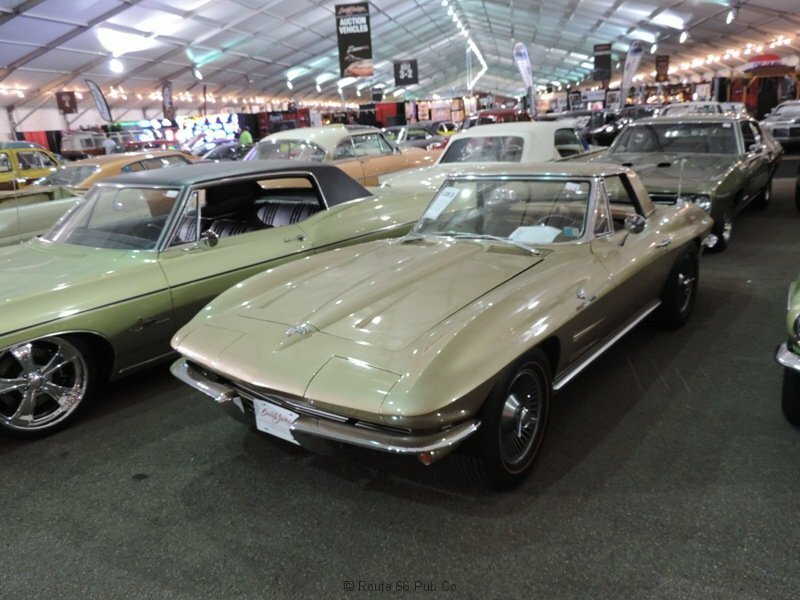 And Barrett-Jackson typically takes a similar cut from the seller, so from a winning bid of $35,000 the seller would net $31,500. This bus must have been left outside in the Texas rain and shrunk. 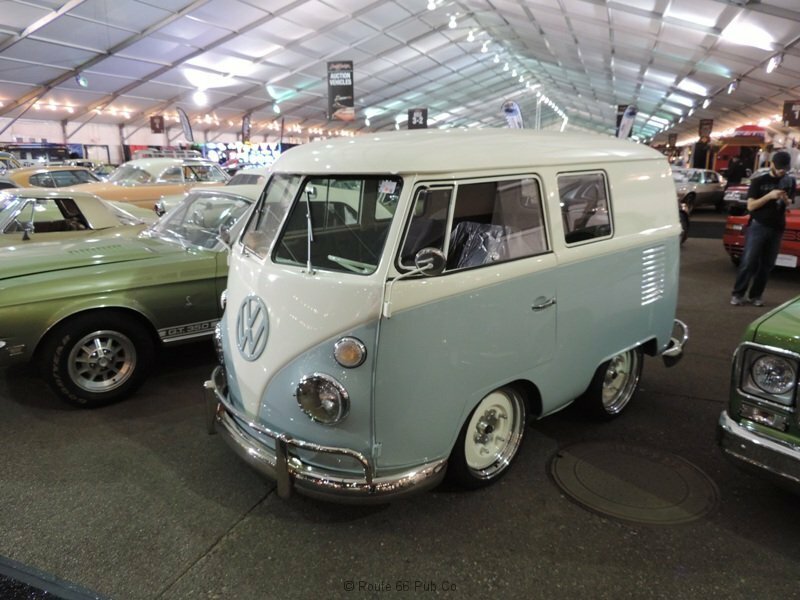 Interesting twist on the usual VW bus and hard to miss. 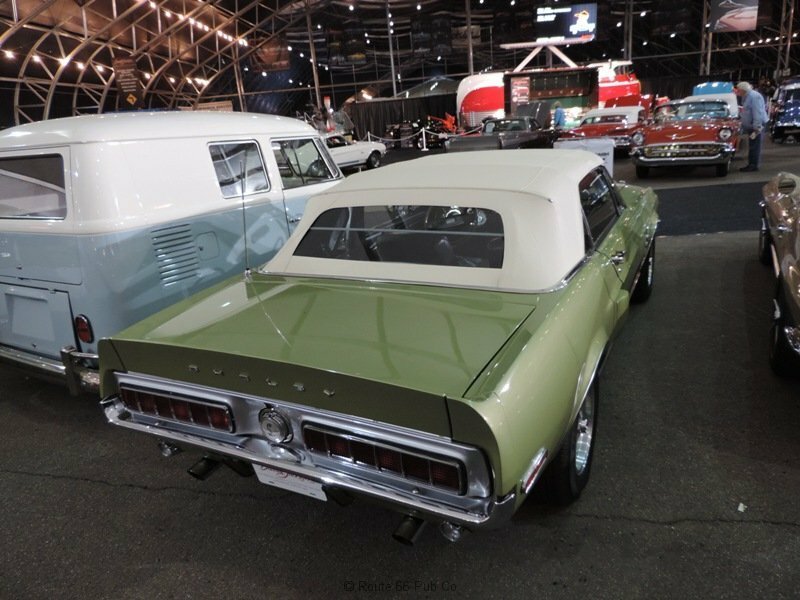 Richard bought it for $2K and intended on putting $7,500 more into it. Sue charged him $3K to install the kit alone, so suspect he invested way more than $7,500. 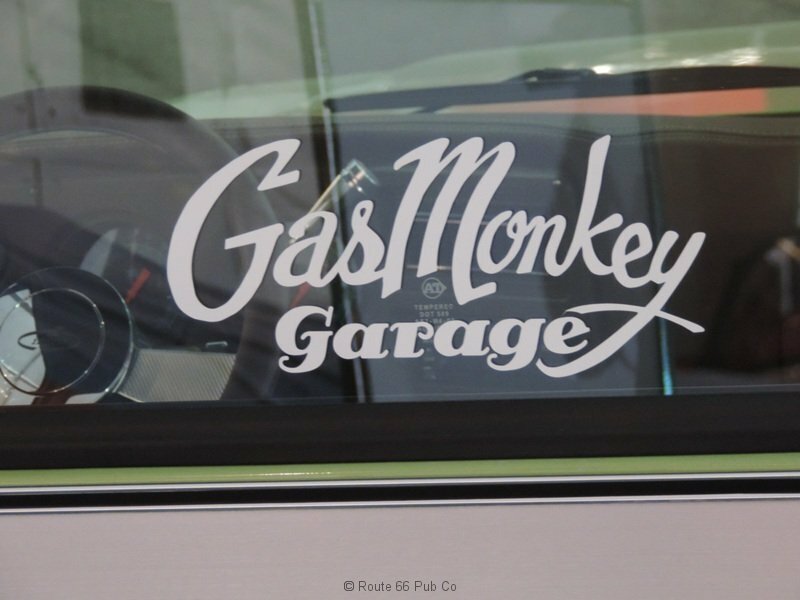 This was the only Gas Monkey garage vehicle sold on Wednesday. 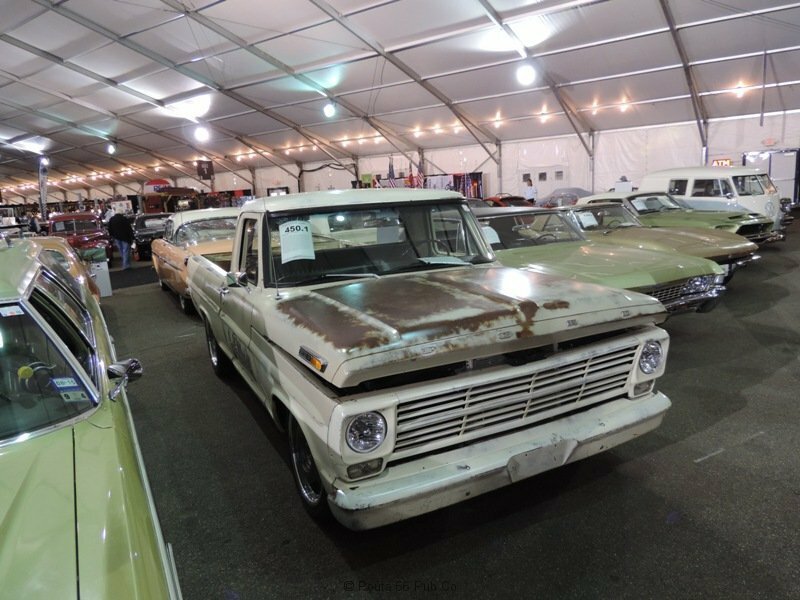 It sold for $38,500. 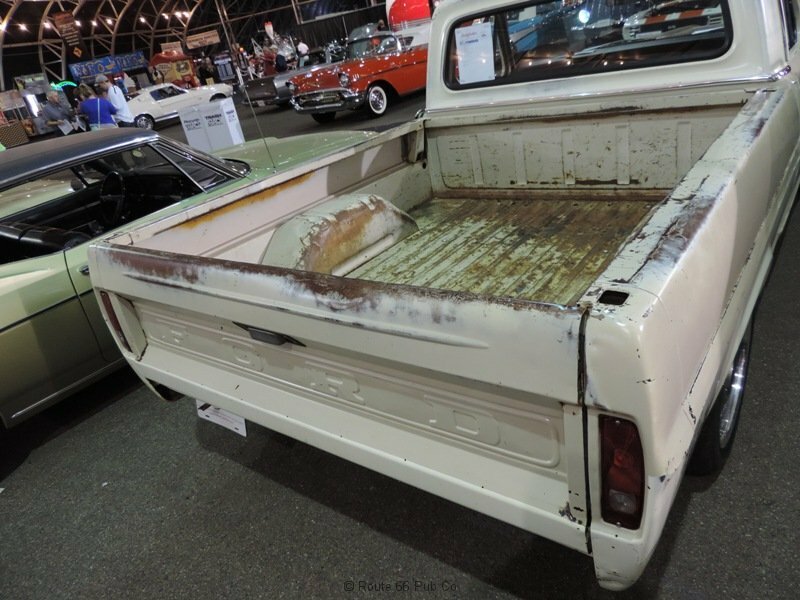 The shop truck with a definite tinge of patina sold solo on Thursday. 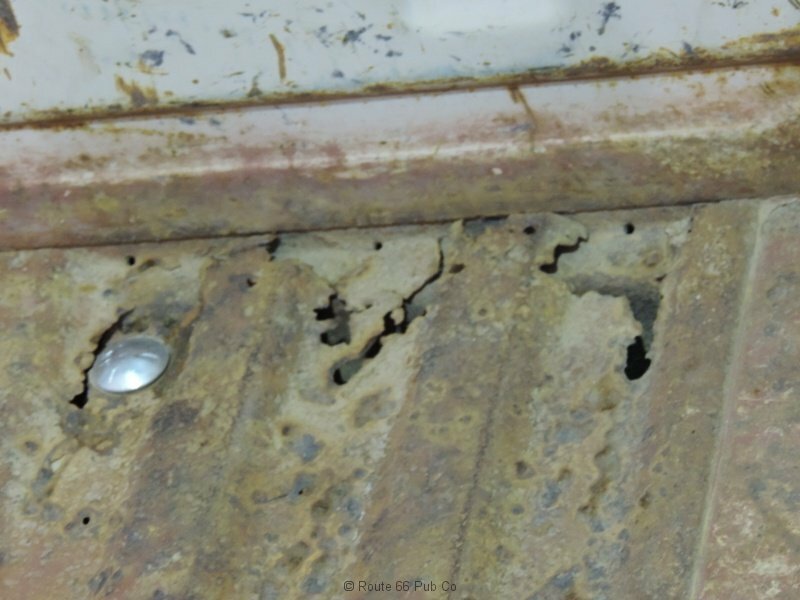 This has definitely seen some wear and there are even some minor holes in the bed so we know it has been put to work. 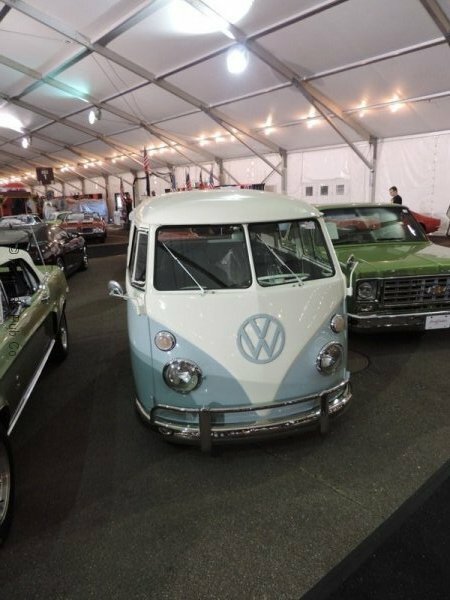 It sold for $42,900. This is brand new to the TV viewers, since it hasn’t been aired yet. 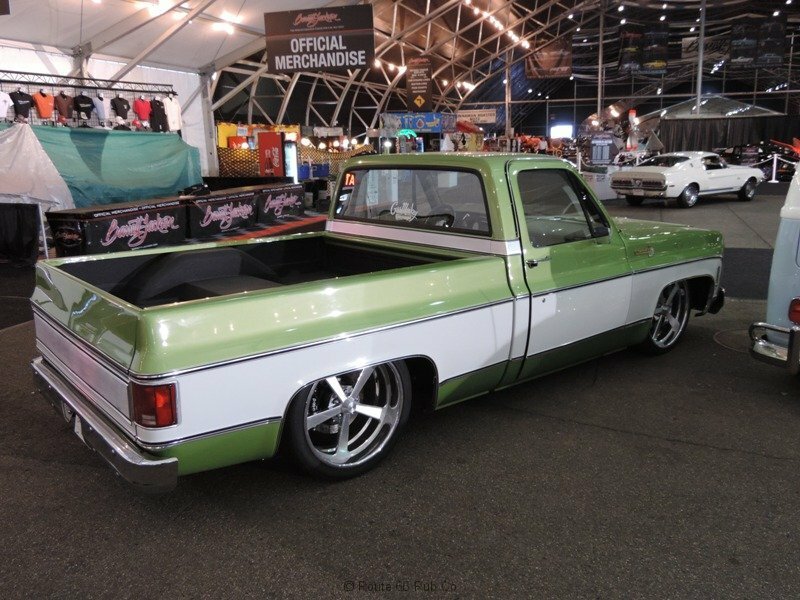 It did not even meet the print deadline to be in the humongous Barrett-Jackson catalog! 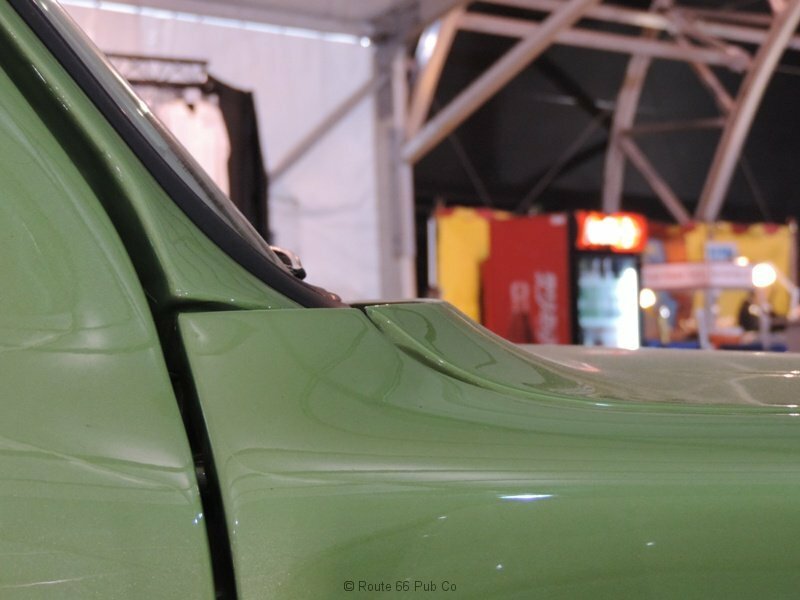 Green with a black vinyl top. 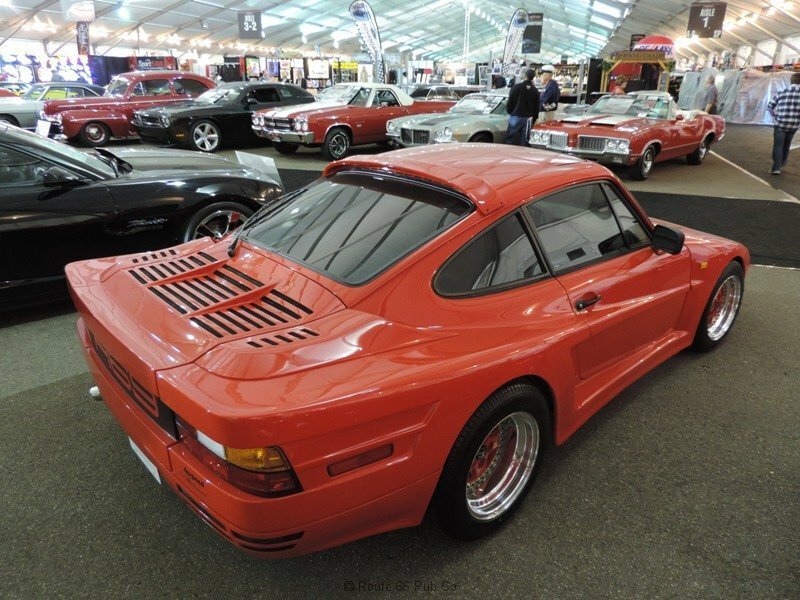 Equipped with a crate ZZ5 engine and a two speed Powerglide transmission. Ride Tech suspension and Wilwood brakes with nice Intro wheels. Rumor has it the winning bidder can return to Dallas and be in the show, since he bid $50,600. 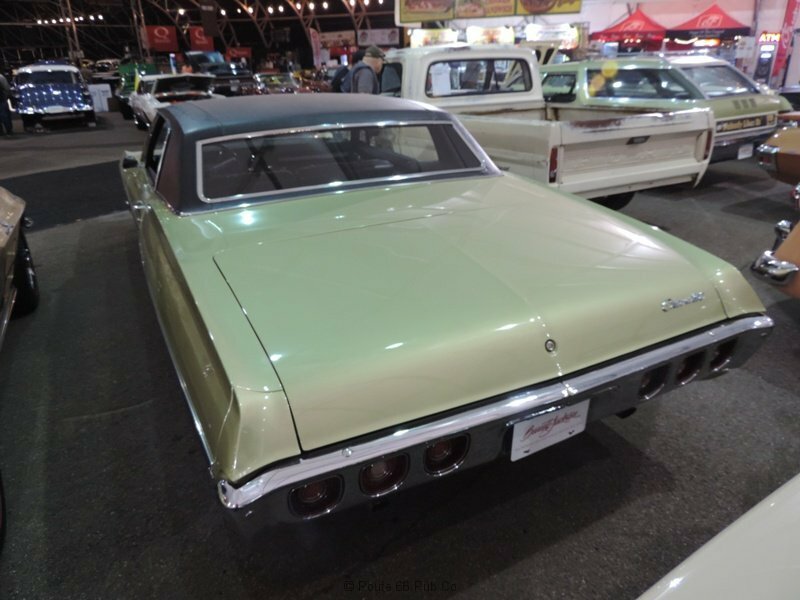 This baby even came with an AM radio/eight track player. 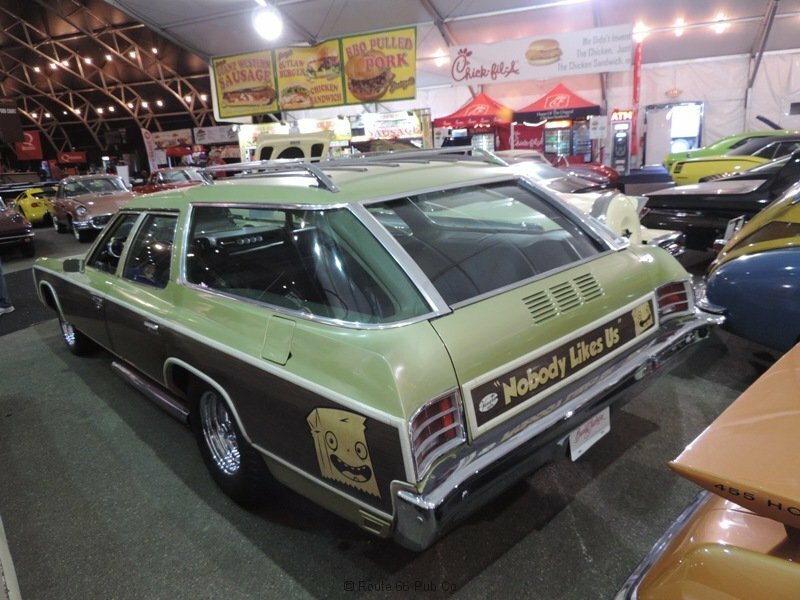 But Rawlings’ crew couldn’t locate an eight track to test it out. 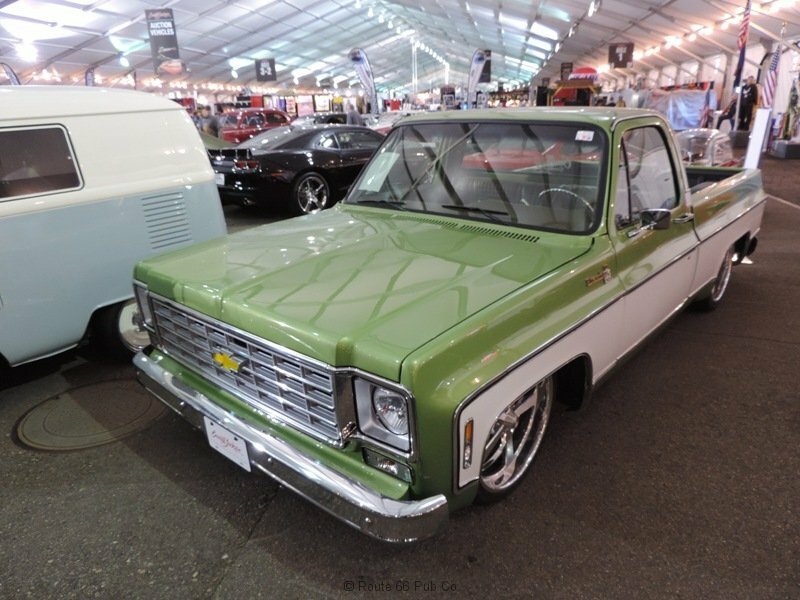 It’s been repainted Lime Gold and uses a 302 V8 and a three speed. 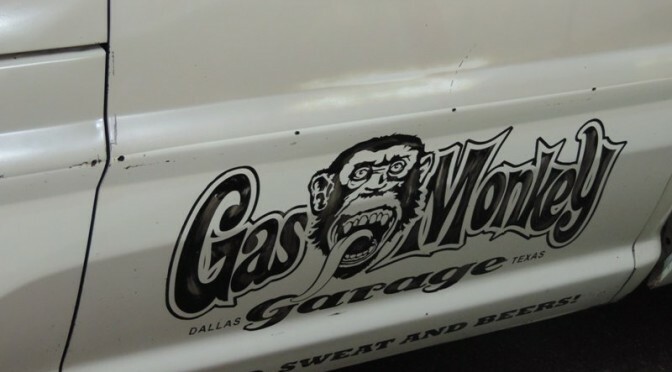 Ironically the catalog fails to mention any connection to Gas Monkey Garage but it still sold for $106,700. Another late entry that missed the catalog deadline. 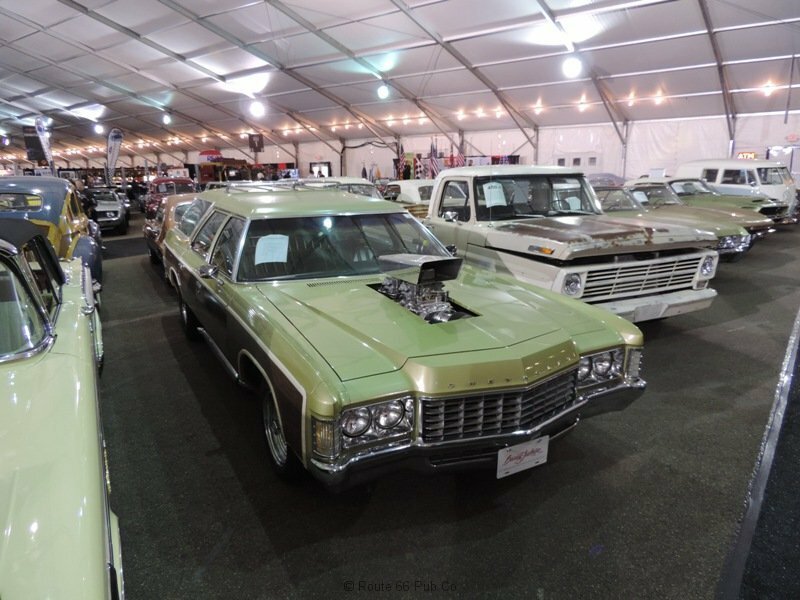 It is fuel injection with a 327 and a four speed and is a numbers matching car. It sports original Kelsey Hayes knock offs for a nice authentic look. The price went up to $77,000. This was used to help promote “Ugly Kid”. 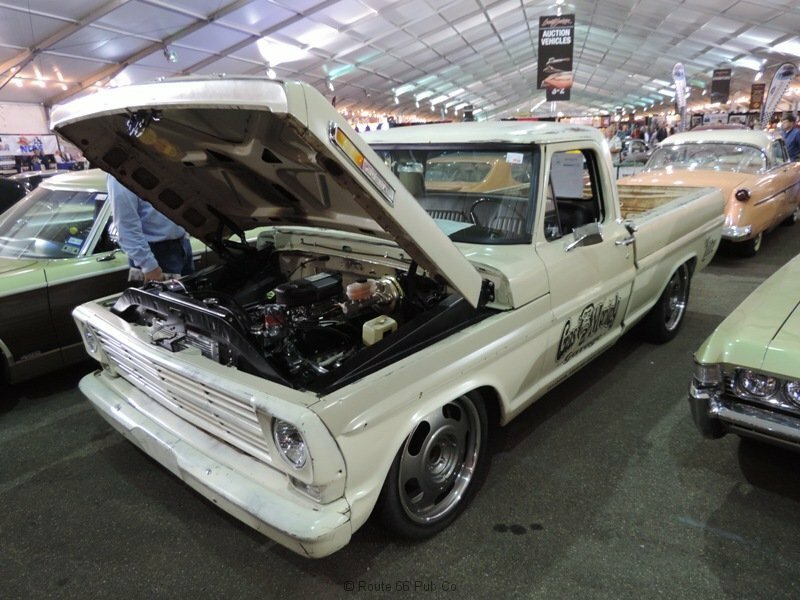 It has a crate 454 engine and a 400 automatic with a supercharger (hence the hood alteration). 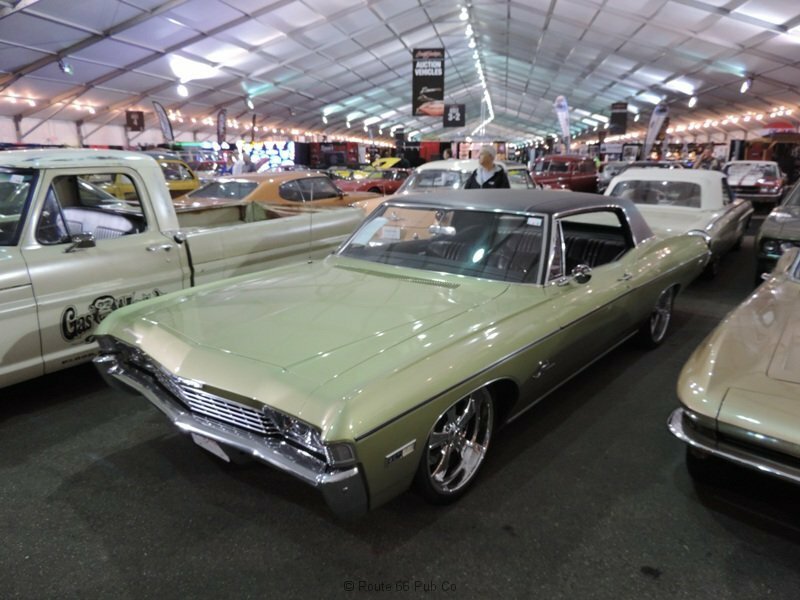 On the show Richard sold it for $42,000 but later took it back from Ugly Kid. 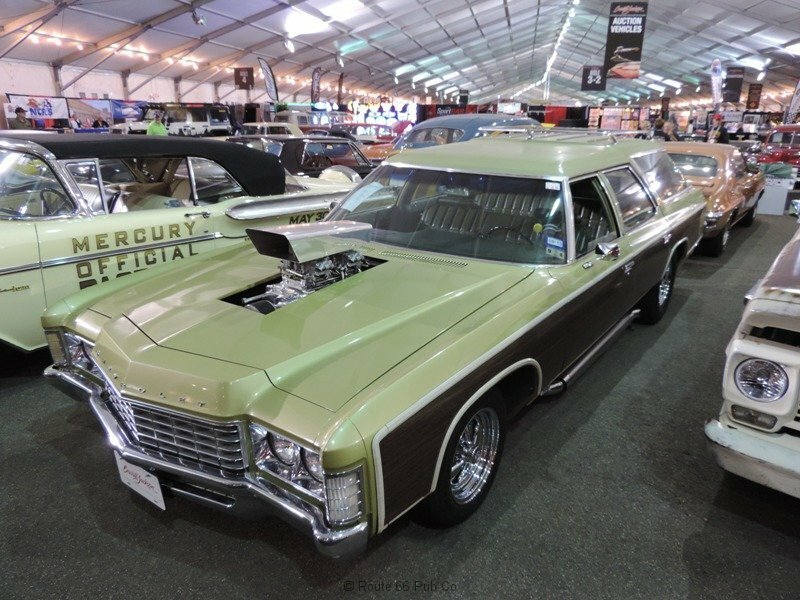 Love the Cragars wheels and the “wood” trim but honestly it is showing some age but still sold for $36,300. 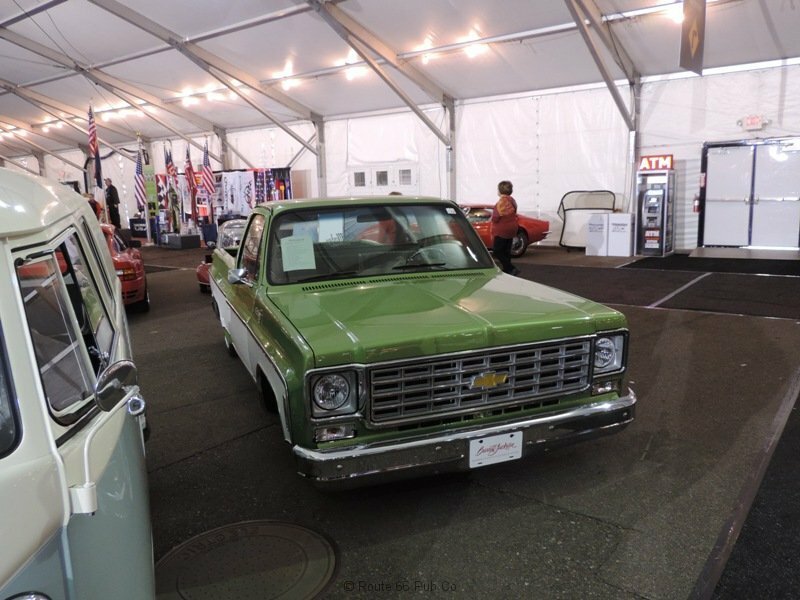 This truck was donated to a local Dallas charity and Dennis Collins stepped up to the plate on TV and bought it for $85,000. 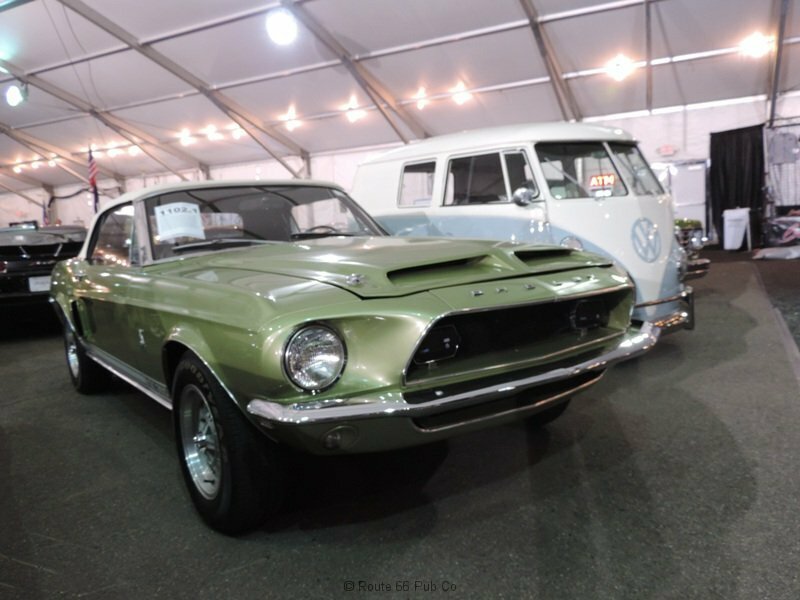 Now he flipped it at Barrett-Jackson and sold it for only $45,100. 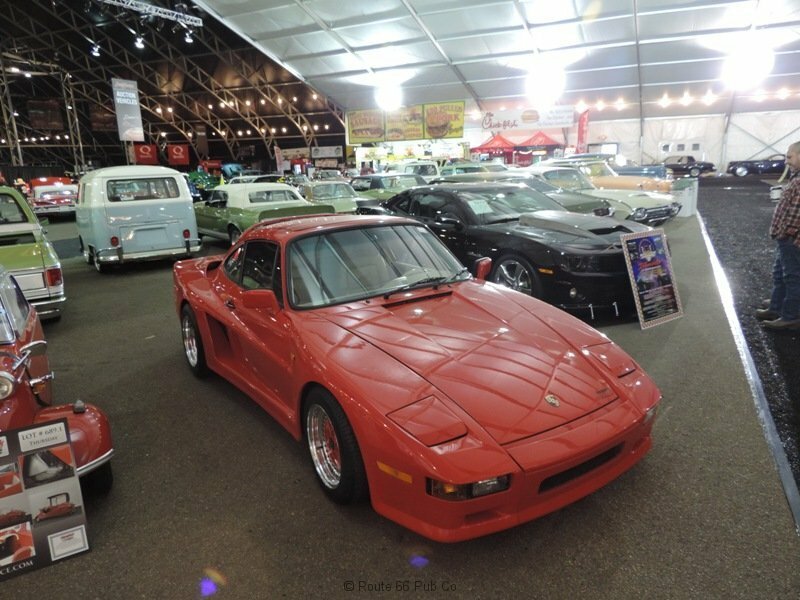 It uses a LS7 engine for power and has a 4L85E automatic . Now I’d be guessing that Richard didn’t have to pay the full 10% seller’s commission, but that’s between him and Craig Jackson. So do you think Richard flipped out okay on these cars?